Nothing beautifies a room like a custom cut decorative mirror. 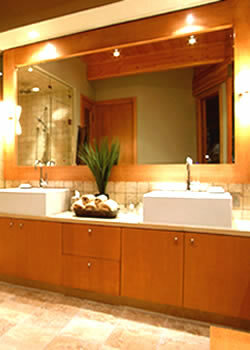 Install an oval, round or beveled mirror replacement in your bathroom, living room, bedroom, kitchen or any room in the house for a luxurious appearance. If you prefer, it’s tough to beat a mirrored wall in the work out room of your own house.